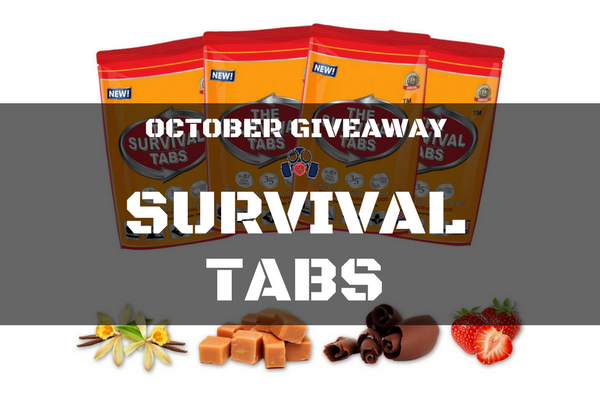 For October we are giving away an eight day supply of Survival Tabs! They are great for including in your bug out bags, get home bags, or survival kits. You need an email account to take a shot at winning, and a few actions on Facebook, Google +, Twitter, and Pinterest account will all help your odds. Visit our pages and give us a like, follow, or shout. Good luck! This giveaway has ended. Winner: Chad L.